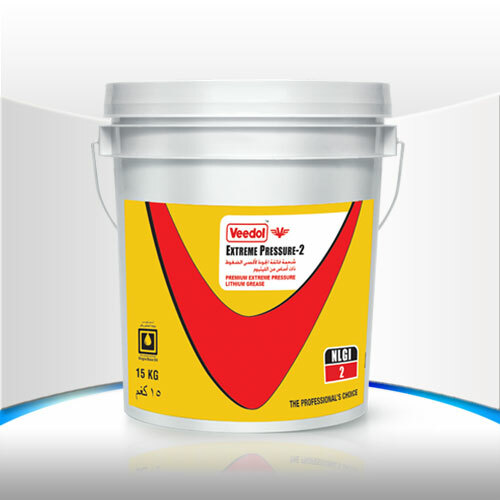 Veedol Extreme Pressure-2 is a premium exireme pressure lithum grease having NLGI-2 consistency. It is recommended for heavy duty bearing lubrication in construction, mining, steel, cement, rubber, sugar and paper industries. Veedol Extreme Pressure-2 is also recommended as heavy duty wheel bearing grease for trucks, buses, etc. Helps minimize wear and tear thereby extending bearing life.